The Amazing Arden is the most notorious female illusionist of her day, renowned for sawing a man in half. One night, with policeman Virgil Holt in the audience, she swaps her saw for a fire ax. A new trick or an all-too-real murder? When a dead body is discovered, the answer seems clear. But under Holt's interrogation, what Arden's story reveals is both unbelievable and spellbinding. Even handcuffed and alone, she is far from powerless. 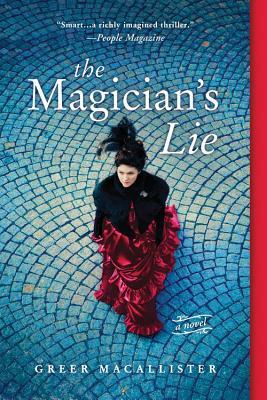 Over the course of one eerie night, the magician must pull off one final act--this time with her life at stake.